Before the light from the winter sun softly touches the snow, a troop of snow monkeys hold each other while asleep in the dark frozen forest. As the sun slowly rises they descend the mountains to the volcanic hot springs. 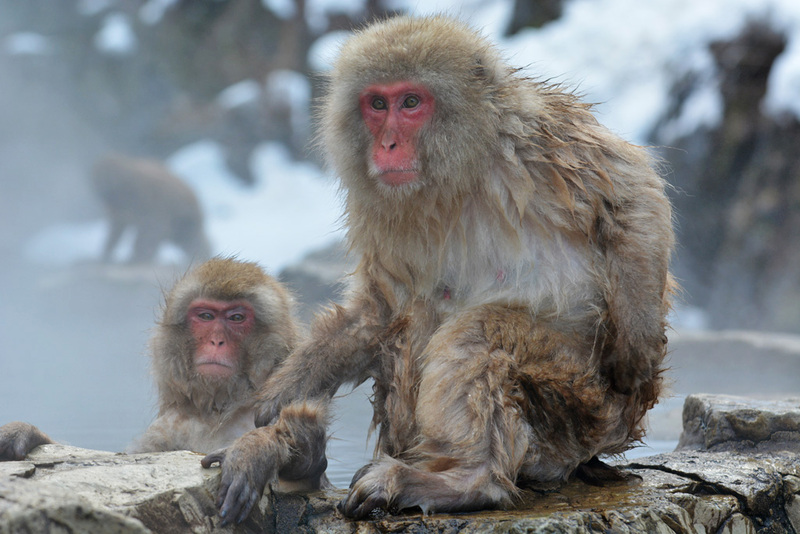 Jigokudani Valley is the only place in the world monkeys soak in the hot springs. Out of breath and hands numb from the cold, we finally see the lights of the ryokan – our secluded traditional accommodation near the snow monkeys. The narrow path on the edge of the mountain is barely visible even with our torches. The ryokan lights tell us we are on the right path after walking in the dark for 30 minutes in ankle deep snow. 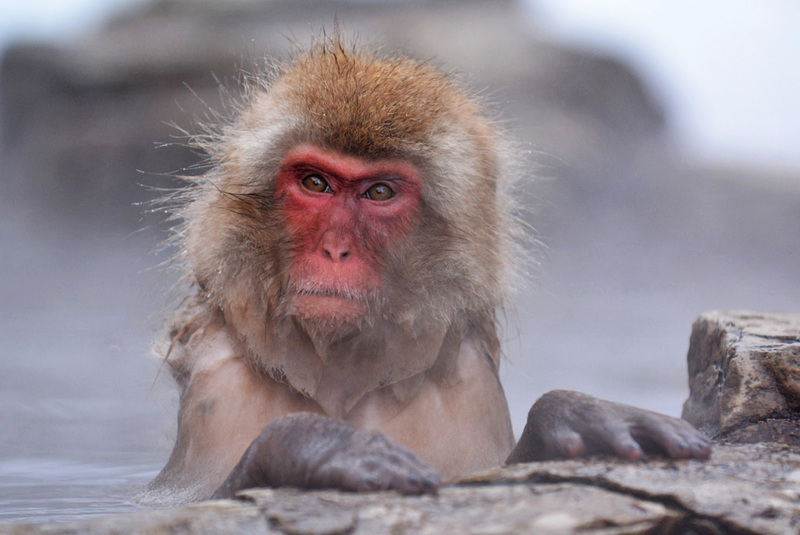 Jigokudani Valley, in Nagano Prefecture, Japan is the only place in the world monkeys bath in hot thermal springs. 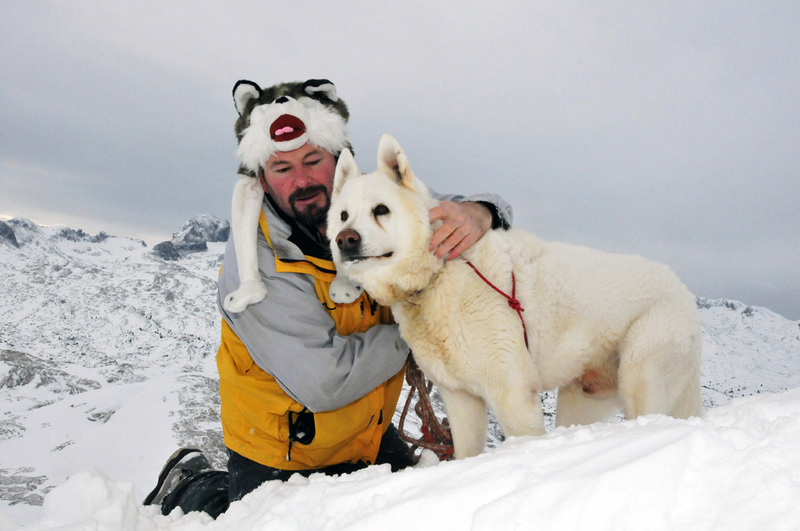 The 850-metre high valley is freezing and snowfall reaches record depths. Here snow covers the ground for one-third of the year. Our host shows us to our traditional Japanese room; a pot of hot tea waits on the low table called a kotatsu. It has an electric element under the table and is warm and snug to sit with my legs under it wrapped in a blanket. Cosy, warm, thick blankets bury the futon mattresses on the floor. The well-heated ryokan has a rustic feel and the timber floors, tatami mats and framed photos of snow monkeys adorning the walls add to the ambience. 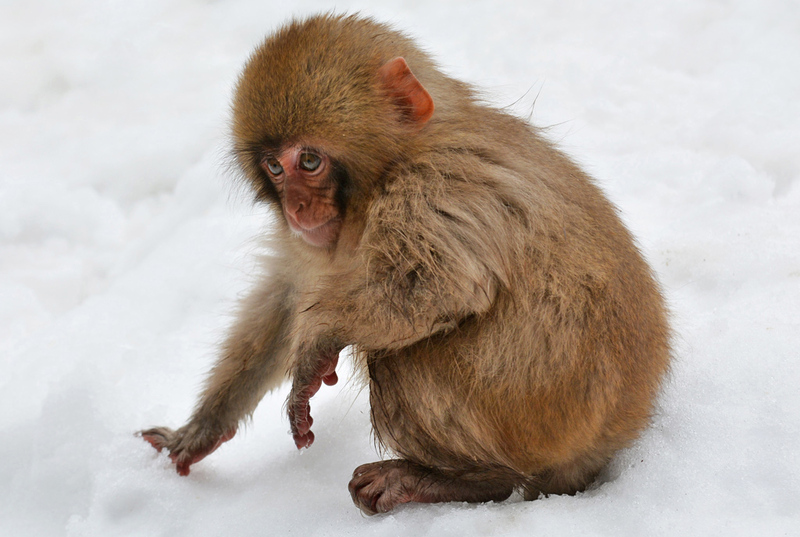 Baby snow monkey plays in the snow. For dinner, we have nabemono a traditional winter speciality, served with an assortment of side dishes such as crispy tempura, zaru soba and dipping sauces. The low tables have a small gas burner at each setting so we do our own cooking. Serving trays piled high with raw, fresh ingredients arrive at our table and we add them to the pot. Bottles of local Japanese beer make a perfect accompaniment to the meal. After breakfast, we go to the hot springs. The ryokan is almost covered in a blanket of snow so we carefully make our way down slippery stairs that are barely visible. The ryokan is the closest accommodation to the monkeys and is only a 100-metre walk across the frozen river. Snowflakes gently fall around us and the forest is covered with a dusting of white icing where monkey footprints decorate the freshly fallen snow. 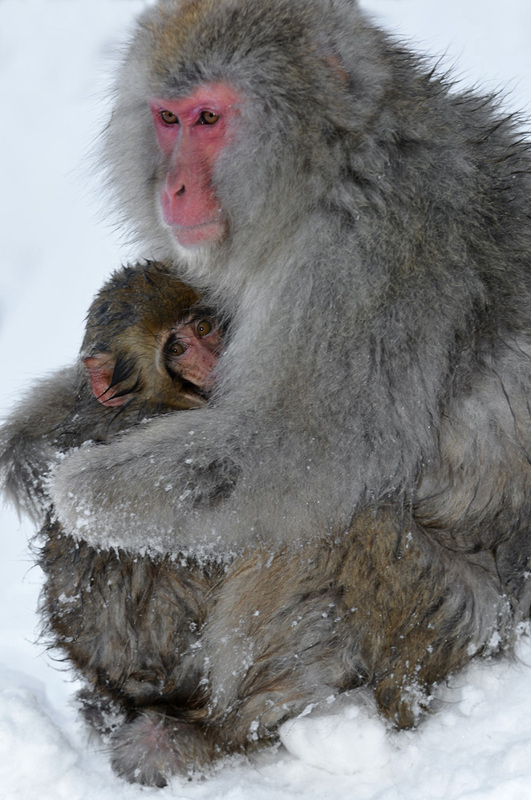 Mum and baby snow monkey cuddle to keep warm. 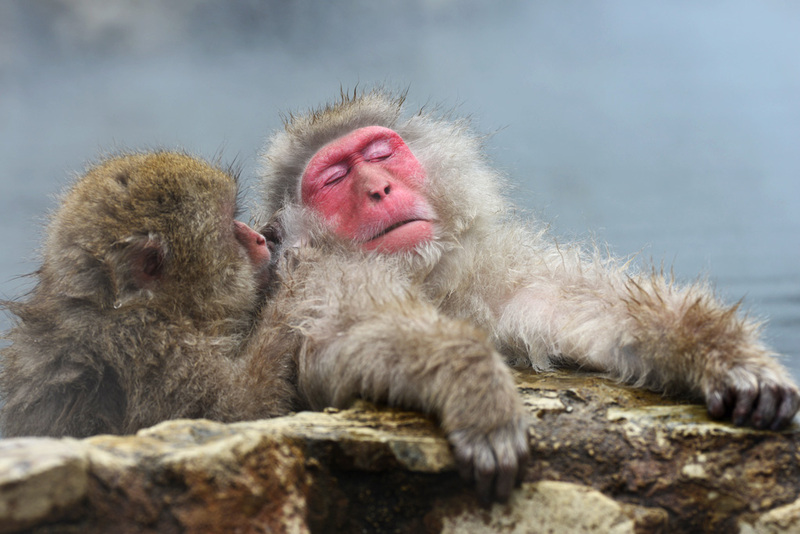 With bright red faces, wet fur clinging to their little scalps and their ears sticking out, monkeys unwind in the hot spring, with some falling asleep as its so relaxing. They are very social in the warm steamy water and groom and embrace each other with human-like hands.Though they survive temperatures down to -15°C., they look pathetically cold when they get out of the hot spring. Snow monkey grooming is pure bliss. Babies are like soft downy teddy bears in their mother’s arms and their fluffy fur and eyes the colour of warm toffee contrasts against the stark white snow. The monkeys briefly seek eye contact, only to quickly look away. Their deep expressive eyes are mesmerising and it’s no wonder they recognise one another by them. The babies are like teddy bears. A mother tickles her baby with a twig and keeps looking at us as if she is making sure we watch them. Impish juveniles play rough and they kick each other with their short stumpy legs, rolling and tumbling in the snow and they roll snow in their tiny hands making snowballs just like us. We feel sad for the low-class monkeys not allowed in the hot spa. They sit on the warm pipes to keep warm. There is a strict hierarchy and the young inherit their mothers’ rank. On rare occasions, a very intelligent or aggressive monkey can move up the social ladder and take its family with it. Snow monkey baths in the hot spa. 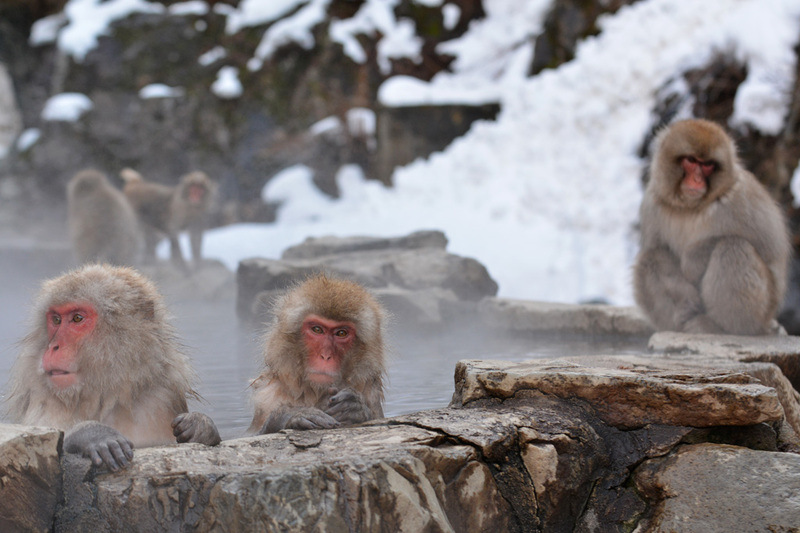 Only the high ranking snow monkeys go in the hot spring because monkeys of low rank are not allowed. We feel sorry for the low-class monkeys; their fur sprinkled with snowflakes, snuggle together trying to keep warm on the pipes carrying the warm water from the springs. 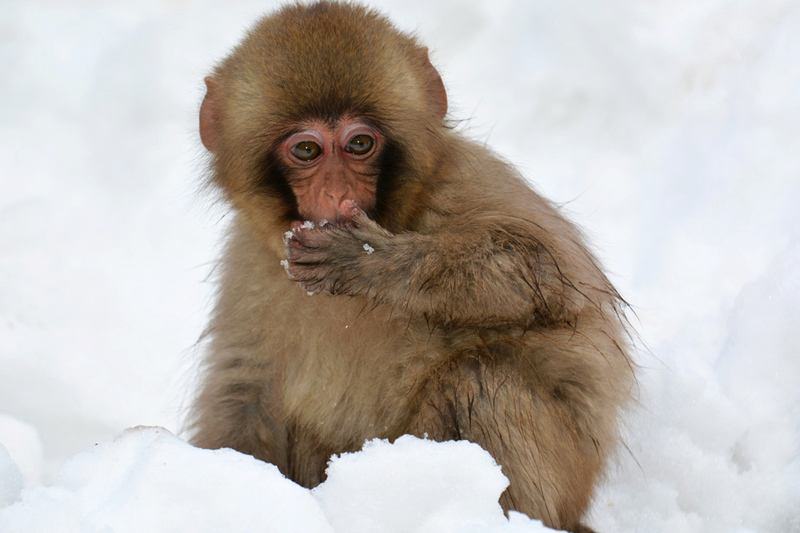 A cute snow monkey baby plays in the snow. The troop is led by an older male with several male helpers who make all the decisions and protect the troop. The males also help in the care of the young and will protect them. In the late afternoon, we go for a traditional hot tub in the open air. The baths are basic and simple but we enjoy them so much more with the view of the ryokan which is hardly recognisable underneath the powdery snow and the monkeys playing on the roof. They have so much expression. As the sun sets and winter casts a dark shadow across the valley, the monkeys go back to the ice-covered forest and spend the night finding warmth in each other’s arms. Only hierarchy monkeys go in the spa. Yudanaka town is in the Nagano prefecture and about 10 km and a 20-minute drive to the ski resorts of Shiga Kogen. Narita airport – JR express train to Tokyo which takes about an hour. Tokyo station – Shinkansen Bullet Train to Nagano city which is about 90 minutes. Nagano city – Change to the Nagano Dentecu line to Yudanaka town. This train is also called the Snow Monkey train and takes about an hour. The Japan Rail Pass covers all of this except the Snow Monkey train because it is privately owned. The cost per person is about 14000 Yen/$350 AUD return if you don’t have a rail pass. If arriving in Nagano city after 10 pm it’s necessary to get a cab to Yudanaka town (about $100) or stay the night in Nagano. At first, the Japanese rail can look daunting, but most destinations and platforms are clearly marked. If in any doubt the staff at the stations are very helpful and most speak English. The trains are always on time and you only have a couple of minutes to board before it takes off. If you miss one, they are so regular another usually turns up within the hour. The babies play in the snow to keep warm. Usually, the host from the hotel or ryokan will pick guests up at Yudanaka station. There is a public bus or taxi available from the station if going directly to the snow monkeys. It is about a 10-minute drive or a 30-minute walk to the start of the snow monkey path from the train station. There is no vehicle access to the snow monkeys and it is an uphill 2 km walk for about 30 minutes. We stay at Korakukan Jigokudani a traditional Japanese ryokan. 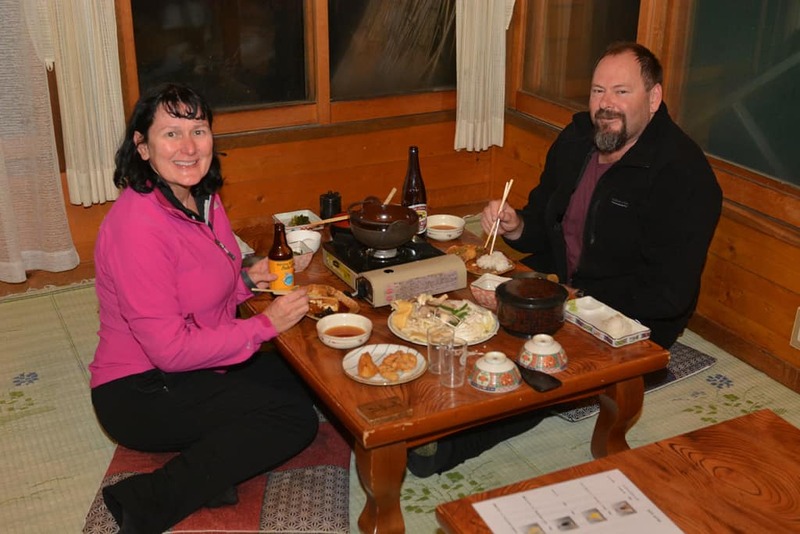 Korakukan is special because of the location as its the only accommodation in the national park near the snow monkeys. It is remote and guests have to walk the 30-minute uphill path with their luggage. In Yudanaka town, there are also many nice ryokans. Many of the hosts at the ryokans will drop their guests off at the start of the snow monkey path. Senshinkan Matsuya and Bozanso are favourites of many travellers. 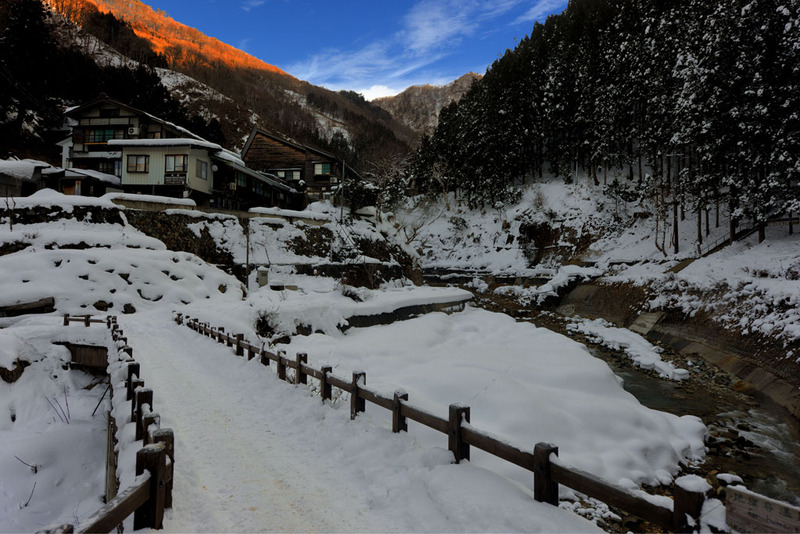 Yudanaka is a typical Japanese country village that’s full of hot springs and onsens. There is a Post Office with an ATM, convenience store and a couple of Japanese restaurants. Regular shuttle buses (some free) service the area from Yudananka to the Shiga Kogen ski resorts. A day trip to the ski fields is possible. Yudanaka is only a 20-minute drive to the Shiga Kogen ski fields. The park opens at 9 am during winter. To be the first visitors, start on the walking track no later than 8.30 am. Busloads of visitors arrive throughout the day. Many destinations in the world, once remote and off the beaten path are more accessible than ever before. The trek to the snow monkeys can get very slippery especially when the snow melts and turns to ice so good walking boots are essential. 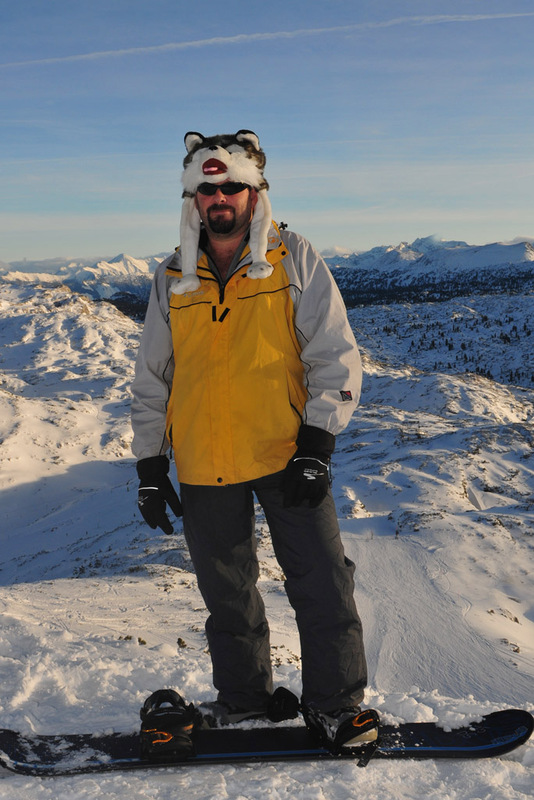 During winter, it’s very cold and temperatures usually drop below zero so warm clothes are essential. 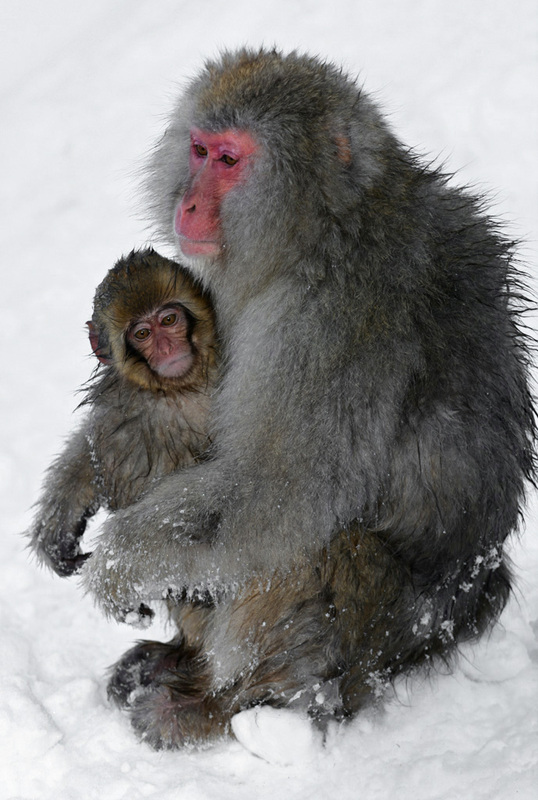 While observing the snow monkeys, visitors are standing on ice or snow so warm socks are also necessary. 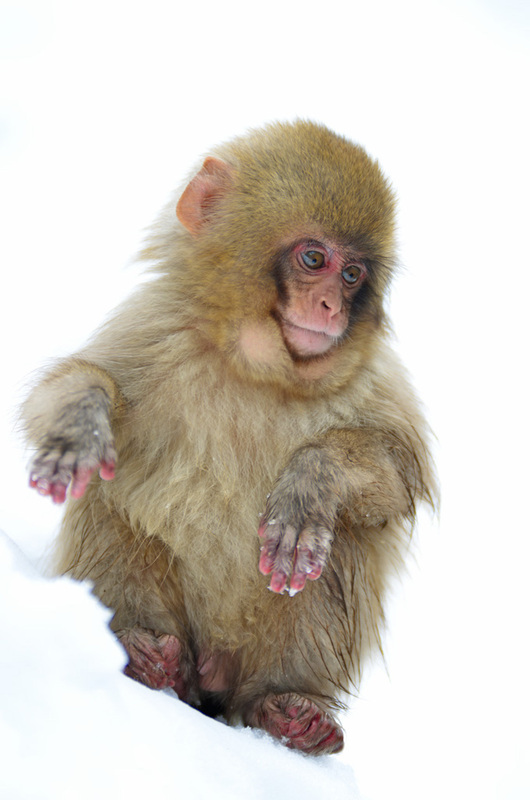 The winters are harsh for the baby monkeys. The winter months of December and February are the best times to visit Nagano prefecture, the snow monkeys, skiing and the hot springs. Generally, the coldest period is mid-January to mid-February and snow is pretty much guaranteed. 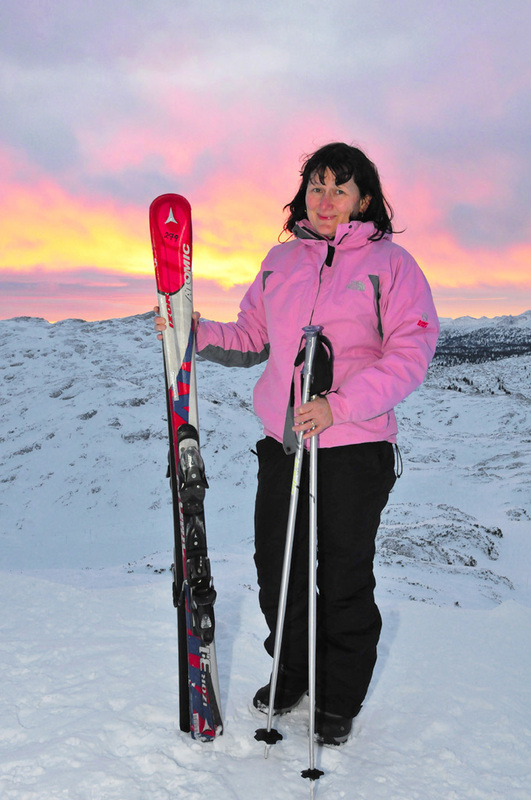 If travelling in December, try and plan your snow activities as late in the month as possible because there is more chance of snow the later it is. When travelling to popular destinations in Asia check the dates of public holidays in China as travelling during these times can be very crowded. Always gobsmacked by your work. We were so close to going to Japan this year, with airfares a little over $700 for the three of us!! But we decided on Bali. Looking at these am sorry now! Hopefully next year. Are the trains in Japan simply to navigate? Could you do a atrip with snow monkies and the cherry blossoms or do the seasons not match? Hi Sue thanks for your comment. There are excellent flight specials for Japan and Bali at the moment. It’s a hard choice 🙂 At first, the trains can look confusing to navigate, but once you go on the first one, it’s easy to work out. The stations are so big and platforms can be hard to find if you are in a hurry though. Most platforms have good signage showing the way. The staff at the stations are friendly and helpful.It is possible to do the snow monkeys and the cherry blossoms in one trip. The cherry blossoms start in March and currently there is still snow at the snow monkeys. 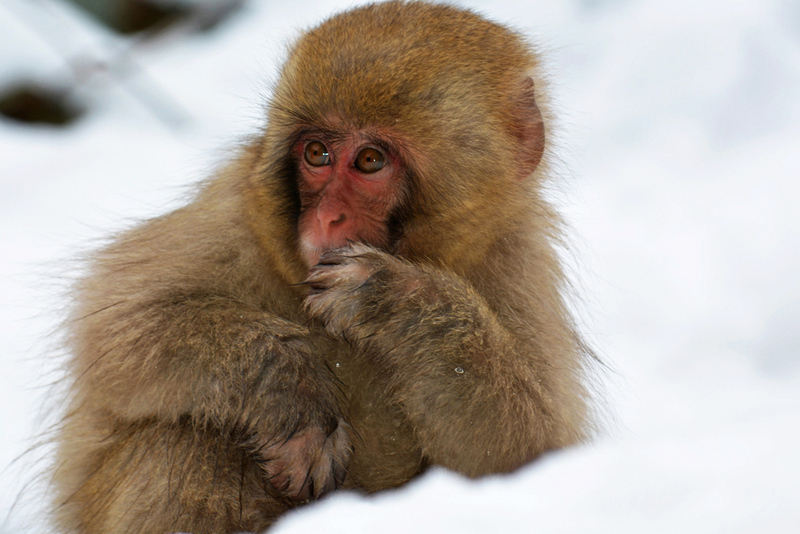 Put the snow monkeys first in your itinerary as the later in March the less chance for snow. 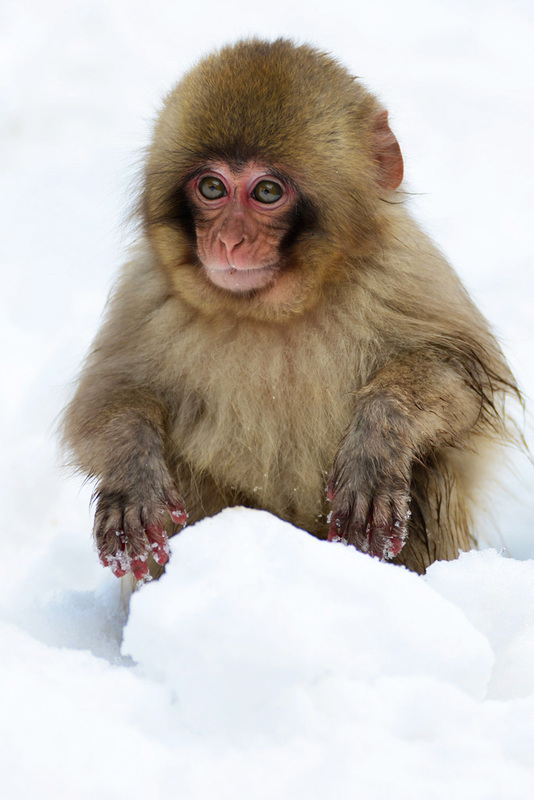 You can visit the snow monkeys anytime of the year, as all seasons have their special times. Hi Sue thank you for sharing great experience with snow monkeys. You have described very well this Japanese tours with awesome pictures also described “How to get to the Snow Monkeys” section in each steps. 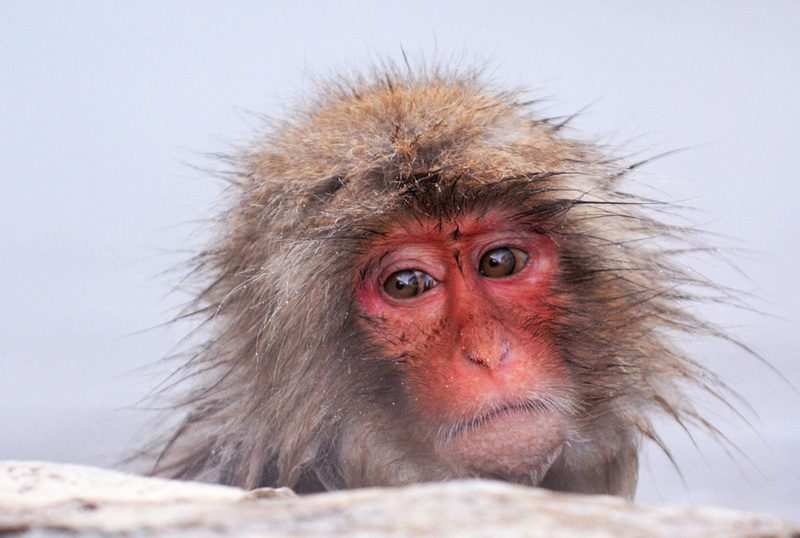 I saw the picture of low caste monkey in which the expression of monkey face is very sad but hopefully one day will be come when low rank monkeys will be allow in hot spring. Thanks, Karan. It is a nice experience to the see the snow monkeys, even though it is now a very busy place. Yes, it’s sad to the see the low-class monkeys not allowed in the not springs. Hopefully, you are right and the day will come when they are allowed in! I am so glad to have found this article! Extremely helpful & informative, am pinning this! We are going to Japan at the start of 2017 for a ski trip and one of things we want to do is visit the snow monkeys! It looks like a great experience, even if it is busy. This is a great post for people like us. We are going to be based at Niseko ski field so I have to investigate what options there are from there to get this national park. Thank you Juliette! The snow scenery and skiing in Japan is absolutely awesome. 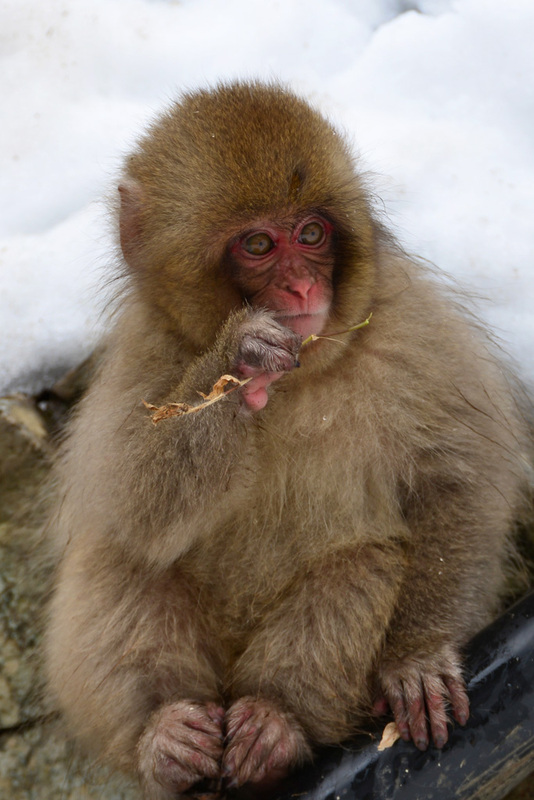 Topped off with a visit to the snow monkeys is the perfect winter break. Are you flying into Tokyo? 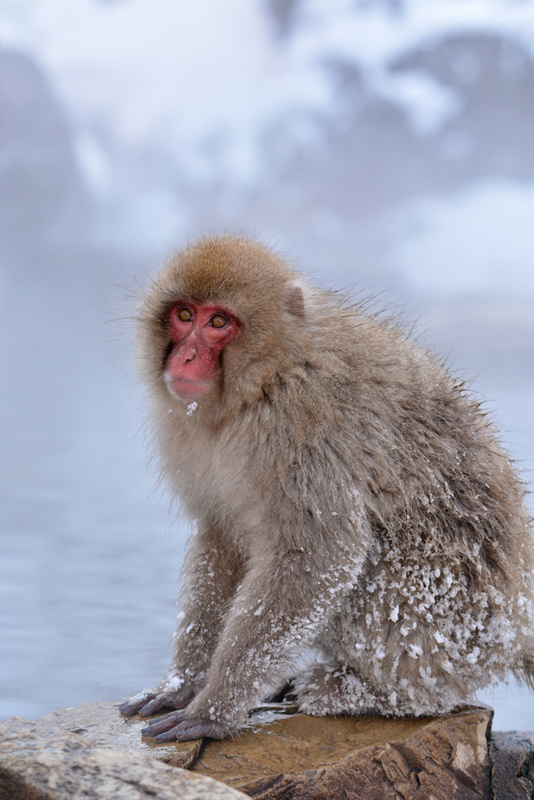 Perhaps a detour to Nagano to see the snow monkeys before you travel to the Niseko ski fields could be an option. At this stage we are looking at flying into Sapporo (we are coming from NZ so we were looking at Akl-Seoul-Sapporo) but then wanted to come back through Tokyo and spend a few days there. So much to organise! And need to get a whole lot of winter clothes after we ditched most of them to move to Fiji! You will be able to see them on your way back through Tokyo. Let us know how it all goes. Sounds like a fantastic trip!